Dhaka, 25 April, Abnews: The much-awaited teaser of Sanjay Dutt's biopic ' Sanju' starring Ranbir Kapoor is finally out! After months of keeping the details about the film under wraps and building up the excitement towards it, the makers have finally launched the official teaser of the film. Ranbir, who left everyone spellbound with his uncanny resemblance to Dutt in the leaked looks from the sets of the film, has once again managed to enthrall the audience in the official teaser of the film. 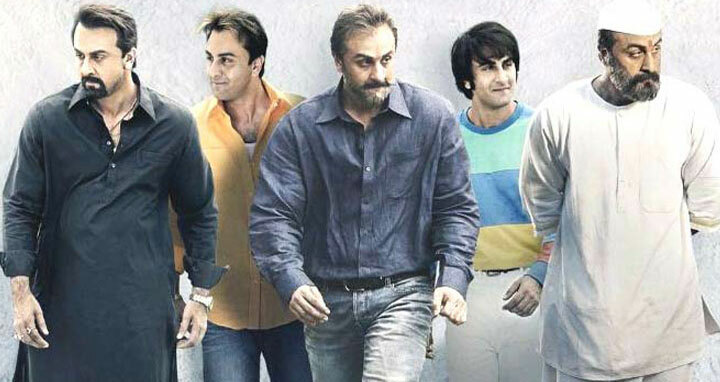 The 1-minute 25-second trailer sees Kapoor stepping into Sanju's shoes and taking us through the various stages of his life and delivering some interesting punchlines, aping the latter's mannerisms to a near perfect. Director Rajkumar Hirani apparently revealed that Sanjay was very overwhelmed when the former showed him a few shots from the film. The film will chronicle the ups and downs of the actor's life and bring his controversial life to the people through the celluloid medium.